Step 5: Click SAVE ARRANGEMENT. Step 3. It is likely the http://.... will be a long web address/url. Shorten it using goo.gl. Step 7. Paste the code <img src="https://goo.gl/...." /< in front or behind the blog title depending on your preference. Add this img tag to the Blog Title. Then click GET WIDGET! Once you have done this, the LinkWithin gadget will be added to the list of gadgets for your Blogger.com blog. 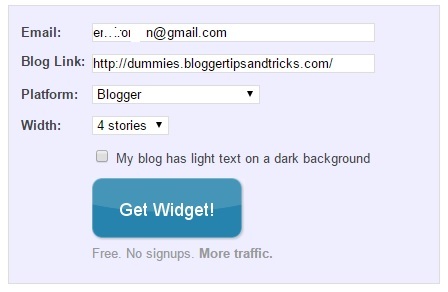 Now click ADD WIDGET, and the LinkWithin widget will be added to the list of gadgets in your blog LAYOUT, probably in your sidebar. 2. http://character-code.com/emoticons-html-codes.php (some supposedly works with Safari browser but my Safari for Windows browser could not interpret, perhaps Safari for Mac may work but I don't know since I don't have a Mac computer. Workaround. Copy-paste their emoticon URL into the browser address bar. This will display the emoticon on a webpage. Right-click on the emoticon, select SAVE IMAGE AS then safe in gif format in your computer. 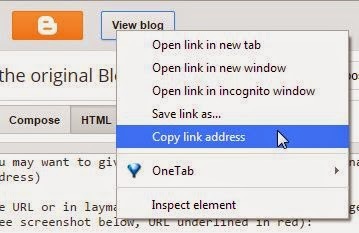 Open Blogger post editor in HTML mode, click the UPLOAD PICTURE icon from the toolbar, select the newly saved .gif image, then upload and publish. Then in Layout, drag the newly added AdSense gadget to wherever you want and SAVE. 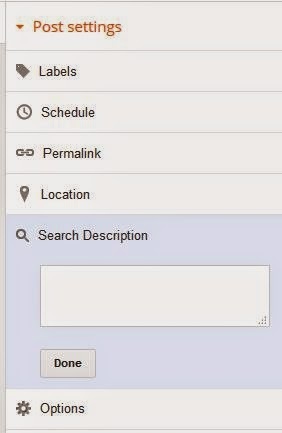 Sign into google.com/adsense and click MY ADS at the top left, then +New ad unit, then select the ad unit you want. Drag the gadget to where you want and save. Second, in browser B, sign into email B and look for the invitation email, click on the link to accept invitation, then in BLOGGER, accept invitation. then in the PERMISSIONS section, you will see email B added as Author. In the COMPOSE mode of Blogger post editor there is a video upload icon which you can click to upload video. However, we have found that to be messy and if you want videos in your blog, it is far better to upload them to Youtube then embed into your blog. Click in width field and type a number suitable for your blog post column width then click in the HEIGHT field. The height will automatically be added such that the aspect ration is maintain so video wouldn't be distorted. Source codes are codes written to do something. There are many types of source code for various purposes. In the case of the Internet and if your are using a blogging platform like Blogger.com for your blog, the source codes are meant to be read and interpreted by browsers (Google Chrome, Firefox, Internet Explorer, etc.) and instruct them to display what the coder want the browser to display on your computer screen. Although you don't need to be an expert on source code, it will be good for you as a blogger to know a bit about HTML (which is one of the source codes for the Internet). For example, you want to put in your blog post a link for your visitors to click to take them to elsewhere such as to my Blogger for Dummies blog. 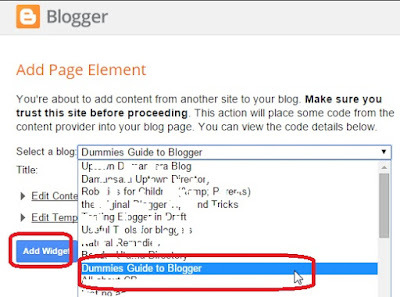 Note that to do the above in your blog post, you will have to do it in the post editor in HTML mode. and paste their codes there. We often come across bloggers just starting to create blogs, publish posts, etc, but are confused over the terminologies. Google/Blogger has created a good Guide for Beginners which should be a good starting guide to refer to. Whatever, I think it is a good idea to sort out the confusions over terminology. It will be a long winded explanation below but it may help if you refer to the examples (illustrations) below. At any point in the explanations below and you want actual examples to deepen your understanding, refer to examples. Best if you are very new, just initially concentrate on publishing new posts then try to digest the rest of this business of blogging. First the blog and its web address (URL). Each time you create a blog, it will have its own unique web address (URL). For more info about web address, refer to How to get blog or post URL (address), and a blog webpage (URL) may look something like myblog.blogspot.com. For example, the web address of this particular blog is www.bloggertipsandtricks.com and there is another example Robotics for Children below. Whenever you publish a new post, the posts itself will have its own web address (permalink), something like myblog.blogspot.com/2015/03/my-blog-post.html. 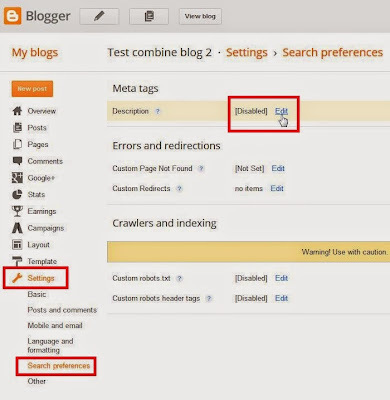 After you have created a blog, it will be listed in your Dashboard (what you see when you log into www.blogger.com). 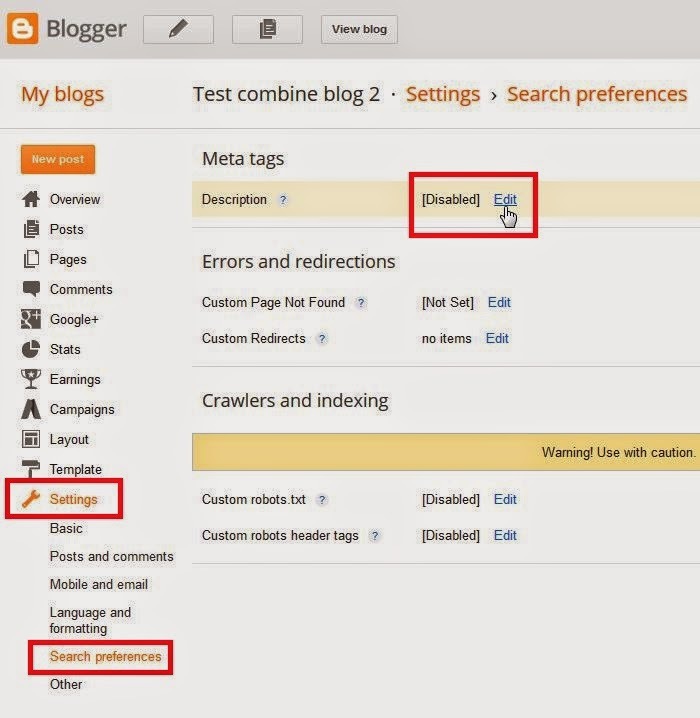 You can create more than one blog for each Blogger account and each blog will be listed in the Dashboard in a list of all your blogs. After creating a blog, the next task will be to publish a post. This you do by clicking on the CREATE NEW POST pencil icon or if you are in a Dashboard of a specific blog, the plain NEW POST icon . Clicking on them will open a post editor where you can type your text, upload photos, etc. 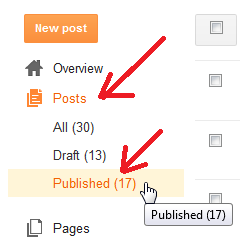 When you have finished editing your new post, clicking the PUBLISH icon . 2. in the homepage myblog.blogspot.com together with other posts if you have created them (the default maximum number of individual posts displayed in the homepage is 7 but can be changed by you the author). Once the maximum is reached, publishing another new post will get this new post displayed at the top of the homepage while the oldest will be pushed off and will only be displayed in its own webpage (permalink) as well as in the archive. 3. in the archives as explained in (2). If you have added the Archive gadget in the sidebar, there will be listed all other published posts. In the current month, each post published in that month will be listed individually in the archive gadget together with other posts published in that month. Older posts in later months will not be listed individually but there will be listed individual months, and when you click on that month it will go to the webpage where all posts published in that month will be listed. 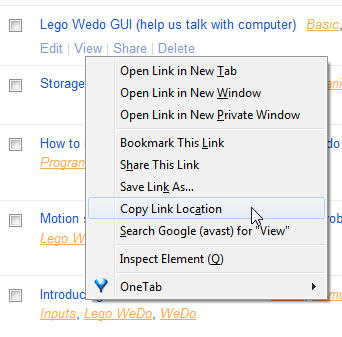 Then this is an example of a post: LEGO Wedo GUI (something that helps us talk with computer which has its own web address (permalink) http://robotics4children.blogspot.com/2015/01/wedo-program-screen-gui-graphic-user-interface.html and viewable on its own webpage (permalink), but as of today (4th March 2015), it is currently the latest post, so it sits at the top of the homepage Robotics for Children below which are other posts which you can see when you scroll down. When new posts are published later, you will see a different post at the top of the homepage). However, if subsequently new posts had been published, it will then be pushed further down the homepage till it reaches the bottom. Any further new post published will push this post off the homepage but it is still viewable at its own web address http://robotics4children.blogspot.com/2015/01/wedo-program-screen-gui-graphic-user-interface.html and also in the archive for the month of March 2015 together with all other posts published in the same month. You may want to gather all of your posts with a particular label (category) into a page and have a tab in a horizontal menu bar below the blog title for visitors to click on to get to that page. The way to do it is to first label your posts with various labels. You will need the links for the various labels (categories) so first go to LAYOUT and add a LABEL gadget to the sidebar. 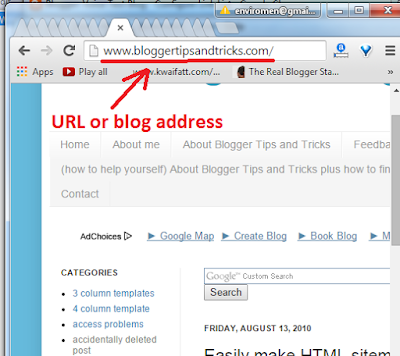 Click on VIEW BLOG to display your blog with the sidebar. In the new pop up window, to Add a New Page, Web Address, type in the title (name) of a particular label (cagetory) you want to add. Then go to your blog, right-click on the listed label (category) in the sidebar, select COPY LINK to copy the web address (url) into the clipboard, go back to the pop up window, right-click in the field for Web Address (URL) and paste. 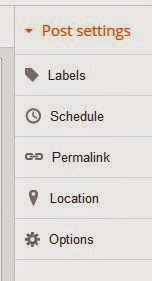 Continue doing one by one for all the label (category) pages you want to add, then click SAVE. 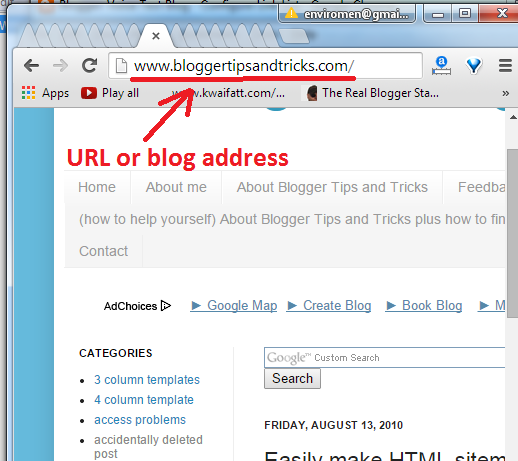 So to get the web address, just highlight it in the address bar, right-click and select copy to copy to the clipboard. 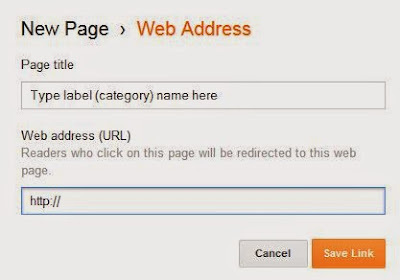 So now all you need to do is to enter the New Site Name [which is the title of the post] and the New Site URL [which is the address/URL of the post. Do this one by one. I would suggest that you start with the oldest post first so that when you need to update the TOC with a new post, it can be easily added to the top of the Table of Content. Repeat the above till you have added all the posts that you want added to this "Table of Content" and REMEMBER TO SAVE when finished. 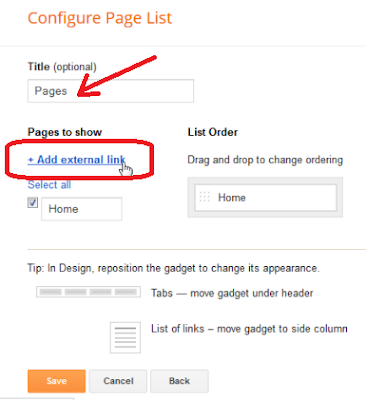 Now each time you publish a new post, you will then need to go to LAYOUT, edit the LINK LIST GADGET and add in the new post into your "Table of Content". 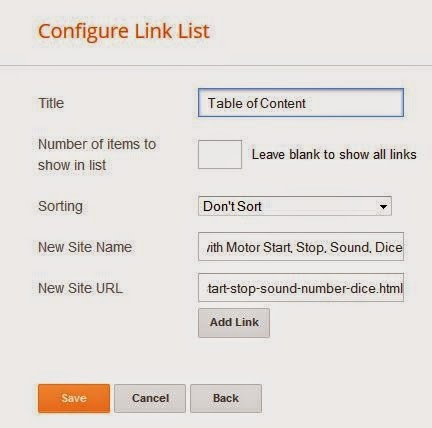 I have used this method to add a Table of Content for this Robotics for Children blog and for now you would see it at the top of the second right side bar. 1. 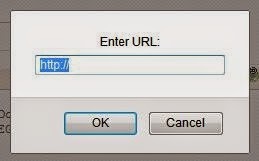 Remember not to have 2 http:// in your hyperlink, example http://http://mywebpage.com) which will become broken link. 3. Remember to click SAVE when you finish.